A recent study suggests that in one state that has legalized the drug, the instances of fatal crashes caused by impairment due to the drug have almost doubled. Decriminalization of possession of marijuana and legalization of medicinal and recreational use of marijuana in a number of states are causing a negative impact on road safety. A recent study suggests that in one state that has legalized the drug, the instances of fatal crashes caused by impairment due to the drug have almost doubled. The American Automobile Association (AAA) has raised concerns with respect to the increasing fatalities and are worried that the test currently in use for identification of impairment seems to be ineffective. While possession and use has been legalized and decriminalized, driving under influence of drugs or any impairing substances is still considered illegal. However, many flout the law, causing a serious threat to road safety. In states where the use of marijuana is legalized, law enforcement applies a drug test to identify impairment. Similar to the 0.8% blood alcohol threshold, the test analyzes the blood for the TCH content, the chemical in the drug that causes the ‘high’. It does not provide an accurate reading of the level of impairment, considering TCH remains in the blood for days. The drug test, unlike a breathalyzer for alcohol does not provide immediate results, as results are provided after a blood test, much after a driver exhibits impaired behavior. Marijuana affects brain function. It slows down reaction time and limits motor function leading to impaired judgement. Therefore any person under the influence of marijuana finds it difficult to concentrate and complete tasks as they would under normal circumstances. Moreover, driving is a task that needs absolute concentration, complete attention and vigilance. Therefore with any substance that impairs brain function and judgement, safety gets compromised. 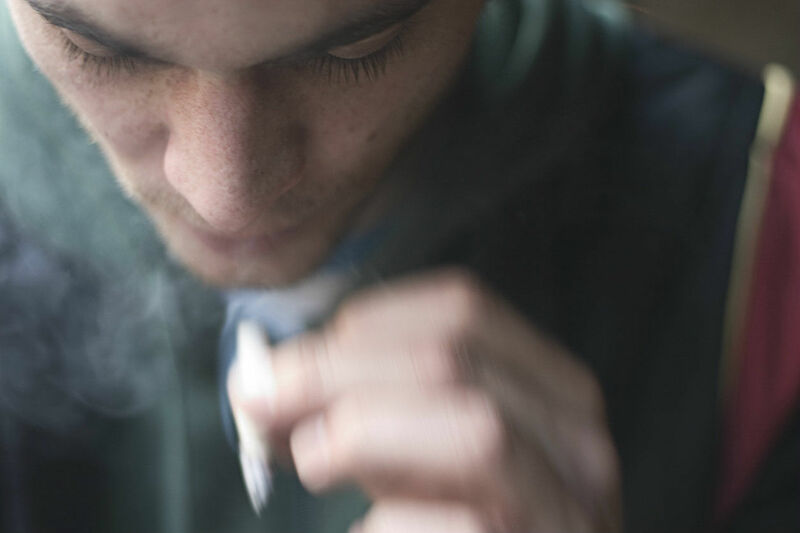 The National Institute on Drug Abuse has linked a direct connection between the concentration levels of TCH in the blood and impaired driving ability. However, the chemical TCH affects different people differently. Thus setting a threshold and parameters might not be an easy task to determine offenders. The AAA recommends that a method that involves training law enforcement officers to detect impairment combined with the blood test be used, rather than simply setting a threshold. Missouri is one of the states where possession and use of marijuana is still illegal. However, with lowering of the criminal charges for marijuana possession since January 1st, 2017, people with possession of lesser than 10gms of marijuana, will have lower penalties, and marijuana infractions will generally not result in possible jail time. Legalizing of marijuana, medical or recreational, did not make it to the Nov 2016 ballot in Missouri. While use and possession of the drug is still illegal, it seems close to reducing penalties and allowing possession of small amounts for medicinal use. However, legalization in the state of Colorado, lower penalties in Kansas and Missouri, and the availability of the drug for medicinal purposes will likely increase the possibility of out-of-state residents driving under influence of marijuana. Accidents caused due to suspected use of marijuana may be difficult to prove. Therefore those who are injured in an accident and suspect a DUI case should seek legal assistance from a St. Louis car accident lawyer. Call (314) 361-4242 today for a free consultation.